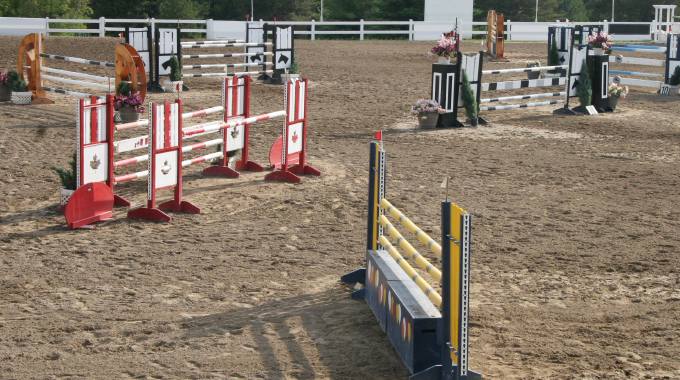 I’m having a hard time keeping my horse round at the canter. He’s great at the walk or trot. But as soon as we pick up the canter, he sticks his nose out and his back gets flat. I’m sure I’m doing something wrong, as my trainer doesn’t have the issue (of course). Any exercises you can suggest that will work on this on the flat? The trot has two beats to the rhythm. 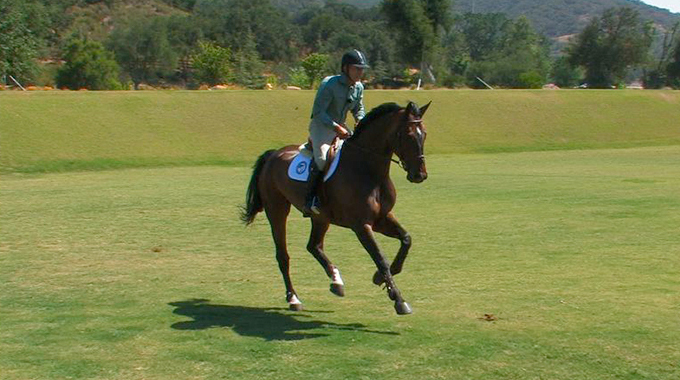 The diagonal legs work together and usually is a very even gait. It’s much easier to keep steady contact, as there is very little movement of the head, neck, and back. 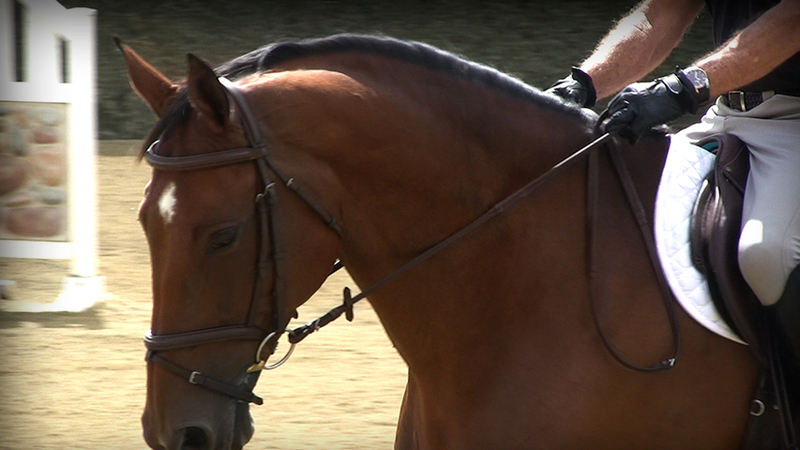 In the canter, which has three beats to the gait, the rider’s arms need to follow the rhythm. 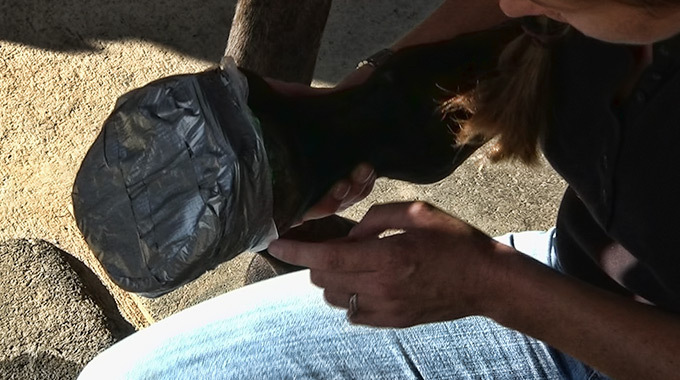 As the inside hind leg comes forward and pushes off, there is a natural descent of the head and the neck, similar to a jump. 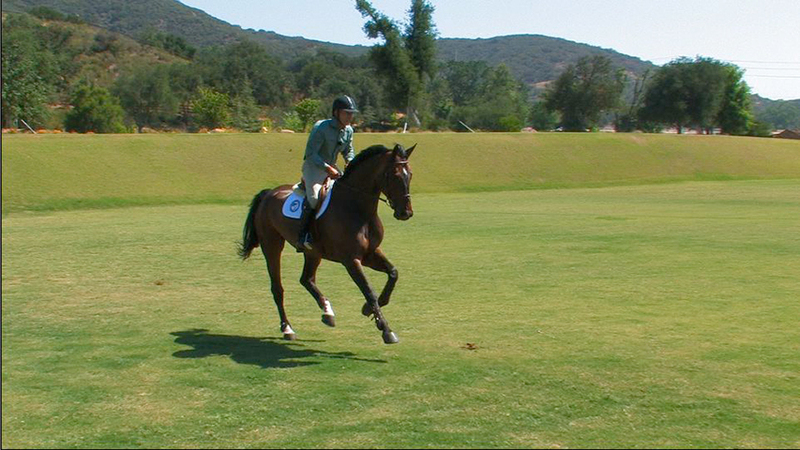 It takes a lot of practice for the rider to learn to go with the canter and not against it. Just as great old school horses learn to jump very flat, they also learn to canter in what I call a “flat line” canter to protect themselves from uneducated hands. Again, it sounds to me like you’re not fully following the horse. It is not an uncommon problem and I go back to the driving rein to help students learn the connection. The driving rein helps the rider learn relaxation and elasticity as it’s hard to stiffen against the horse with that connection. Most knowledgeable trainers know about the importance of a relaxed elbow, but I have found that the rider can move their elbows all they want, but unless their shoulders are relaxed also, their feel will continue to be stiff. 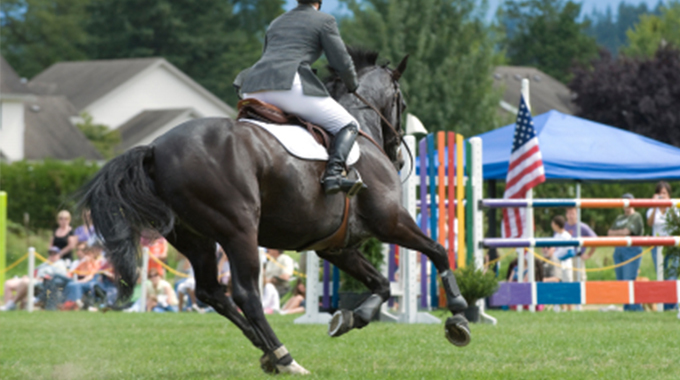 Particularly, if you have a horse with a great bounce to his stride, which is what I’m always striving for, he may be trying to evade being basically, “hit in the mouth.” Riding is really all about timing—when to take and when to give, when to close your leg and when to relax it—and the better your timing, the more your horse will accept and then yield to the hand. 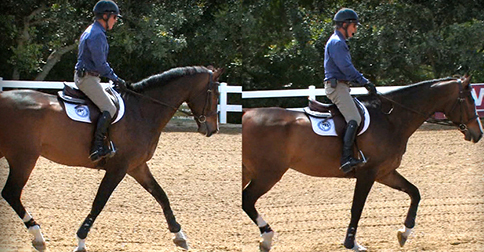 Bernie shares his technique to encourage a horse to shift their balance from their forehand to their hind quarters.